What spurred on this topic in writing my WMT piece for March was an invitation to dinner at Estia Taverna, a restaurant opening near our home, which is an off-shoot of a favorite spot in Philadelphia, Estia, and before that the sister restaurant we often enjoyed in New York City, Avra. My follow-up reviews on Open Table puts me as one of the 25 most prolific reviewers on the entire site. 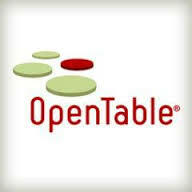 I use Open Table when traveling as well. Ironically, the places we frequent the most–Bibou and Le Cheri–from Pierre and Charlotte Calmels (perhaps the top chef/restaurateurs in Philly) don’t show up in most of my Open Table reviews (they use OT, but we end up locking in our reservations at the restaurant–never leaving either without the next one–and they know how to develop a following and loyalty through impeccable food and service). I also juxtapose the positive–Estia Taverna, Bibou, the Phoenician in Scottsdale, the Four Seasons, Moore Brothers Wine Company among them–with the negative–my airline, which shall remain nameless, Priceline and dining establishments that failed to take advantage of the data sitting right there to cherry-pick. Read the piece and see if you can see where good client service for a lawyer overlaps with running a successful restaurant, hotel or similar establishment. The key takeaway is whether you take advantage of the data that exists (often through web-based sites and software) for your practice. If you do not subscribe to the free Web Marketing Today newsletter, they are providing a complimentary e-book on 50 Great Local Web Marketing Ideas to all new subscribers. I’ve contributed two of the 50 (and learned a few tricks from my fellow contributors as well).